The Yemen Peace Project's Mafraj Radio interviewed Yemeni anti-drone strikes activist, Rooj Al Wazir on the newly-established organization by the families of the drone strikes victims in Yemen..to learn more about that, listen to the interview here (min 03:40). Yemeni families launching the organization earlier this year. 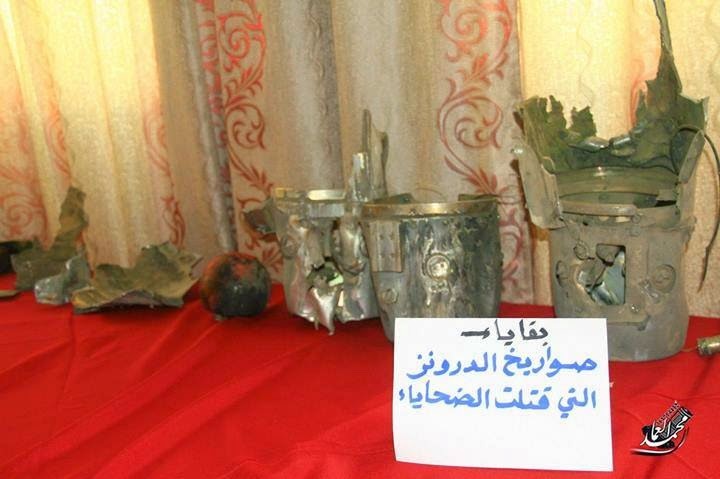 Some of the remnants of the drone strikes, shown at the launch session.